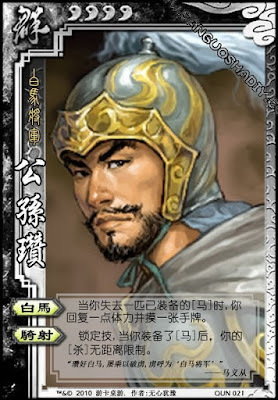 When Gong Sun Zan loses an equipped horse, he recovers one blood and draws one card. When Gong Sun Zan has a horse equipped, his attacks have infinite range. When he loses a horse, he immediately draws one and recovers one. This is even outside of his turn.